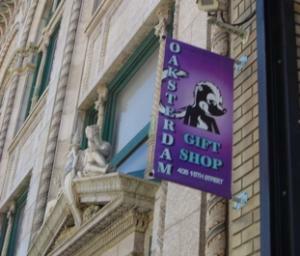 Federal agents raided Oaksterdam University  and associated businesses in downtown Oakland Monday morning shortly before 8:00am local time. The entire building was surrounded by yellow crime scene tape, and an hour later, agents were spotted carrying trash bags filled with unknown materials to a waiting van. The Bay Citizen  reported that Oaksterdam founder Richard Lee had been detained at his home and that four university plant tenders had been arrested. The Bay Citizen also reported that the former location of Lee's Blue Sky dispensary had been raided. Medical marijuana defense groups, such as Americans for Safe Access , were mobilizing their members Monday morning and calling for supporters to head to the scene. They did so in large and angry numbers, shouting obscenities and imprecations at the federal agents. Oakland police were called in for crowd control after protestors spilled onto Broadway. Two people were arrested during the protest.